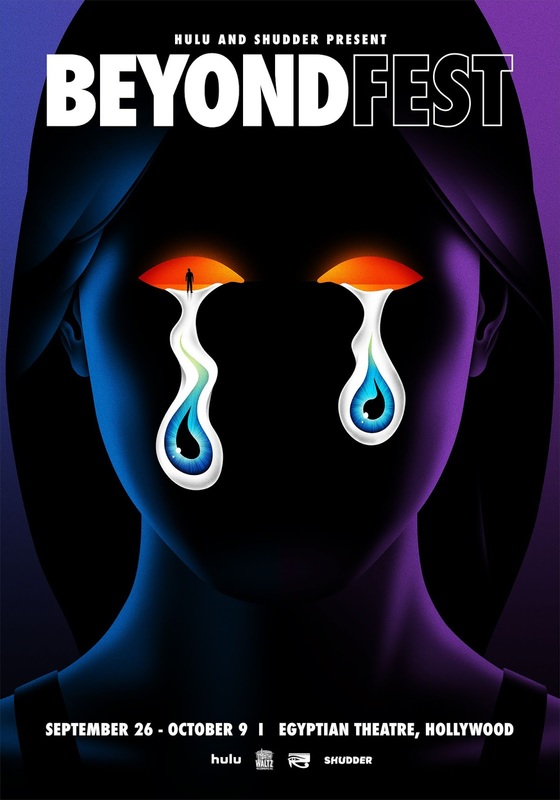 Beyond Fest, the highest-attended genre film festival in the US, is excited to announce its complete slate of 2018 programming featuring 46 features and 24 West Coast premieres of cinematic excess. Co-presented by Hulu and Shudder, Beyond Fest returns to Hollywood’s famed Egyptian Theatre for 14 days of cinematic splendor spanning Wednesday, September 26th - Tuesday, October 9th to generate funds for the nonprofit 501c3 American Cinematheque. With a diverse slate celebrating cinema from all corners of the globe Beyond Fest is proud to open with Gaspar Noe’s dizzying acid-nightmare CLIMAX, with star Sofia Boutella in person, while closing night honors are bestowed upon S. Craig Zahler, Vince Vaughn and their uber-rugged crime-opus DRAGGED ACROSS CONCRETE. Other hotly-anticipated titles making their West Coast debuts in the Hulu Theatre include BAD TIMES AT THE EL ROYALE with writer/director Drew Goddard in person, LORDS OF CHAOS presented unrated and uncut by director Jonas Åckerlund, AN EVENING WITH BEVERLY LUFF LINN with stars Aubrey Plaza and Craig Robinson joining director Jim Hosking in person, Steve McQueen’s electrifying, female-led thriller, WIDOWS, master director Zhang Yimou’s jaw-dropping return to martial arts/wuxia, SHADOW and the triumphant return of Tommy Wiseau and Greg Sestero for the world premiere of BEST F(R)IENDS: VOLUME 2. The Hulu Theatre will also debut a series of festive shorts created specifically by Hulu for their annual Huluween celebration. The most beloved cult classics are celebrated with abundance via a series of special event screenings throughout the festival. Director Slava Tsukerman brings the all-new 4K restoration of his timeless Nu-York odessey, LIQUID SKY, hometown superhero Don Coscarelli launches his new book, True Indie, with a free screening of his mumified masterpiece, BUBBA HO TEP, and martial arts legend Sonny Chiba joins in person with the immortal DOBERMAN COP. Horror icon/aficionado/director/writer Eli Roth presents part 1 of the "Slashers" episode from his upcoming AMC series, "AMC Visionaries: Eli Roth’s History of Horror," along with the West Coast premiere of the painstakingly restored MANIAC in dazzlingly grimy 4K. Joining Roth for a discussion of all things horror will be MANIAC director William Lustig. Two genre classics are revisted via double bills featuring all-new documentaires as Andre Gower rallies THE MONSTER SQUAD cast and crew to suit up for a special screening paired with WOLFMAN’S GOT NARDS doc, and Sam Jones and Melody Anderson reunite once more for a 35mm screening of FLASH GORDON and LIFE AFTER FLASH. Anime masterpiece AKIRA and Robin Hardy’s pagan pleasurefest, THE WICKER MAN, are both given mega-rare 35mm screenings. See below for the full lineup of newly announced film titles for Beyond Fest 2018. Tickets will be on sale via Brown Paper Tickets on Friday, September 14th at 12PM PST.